Nokia N8 is indeed a one-of-its-kind device with an awesome 12 MP camera onboard and since its launch, till date no device manufacturer has been able to even give a little competition to the N8’s sensor. With this the hopes for an awesome mobile phone with a much larger sensor rise, and thus comes the N8 successor in picture. We have been hearing a lot about this device from the past few months and are really excited to see how the device would actually be. 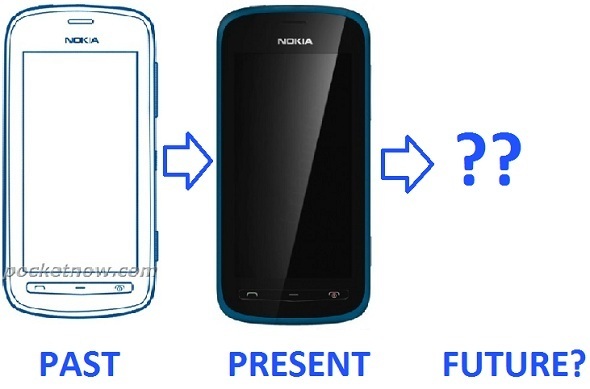 So going back in the past, we first knew about the N8 successor from Nokia’s Head Stephen Elop himself. Elop had said that what we see in N8 is just a small fraction of what Nokia’s capable of in their labs and his job is to get stuff like that to market. So this brings us to the N8 successor which is supposedly to bring in a larger and better sensor than that on the N8. 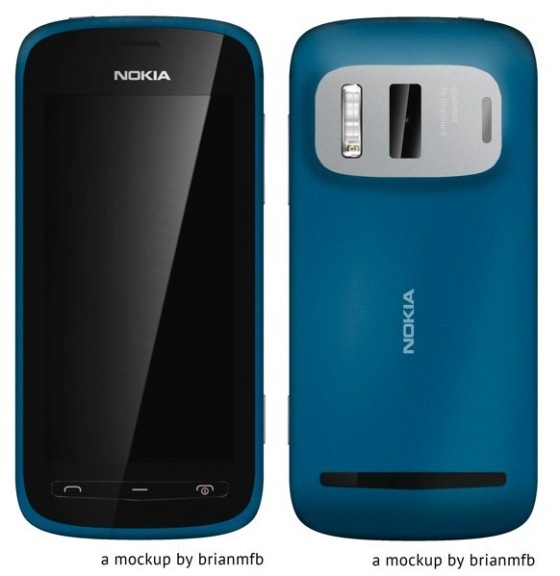 Previously we have seen an image of a supposed Nokia 803 which was a leaked from a user manual of the device. The device had a large hump on its back, just like the one on the Nokia N8, giving in clue that it was the successor to the flagship device but then rumours are rumours. Now going by the above image, mockup artist @brianmfb has released a mockup as to how the follow up of the flagship N8 could look and it looks awesome. See it for yourself below. If this is how the N8 successor will look like then every Symbian and N8 lover will buy the device no matter what price tag it comes up with as it is also being rumoured that the device will be the last Symbian running handset. With this we heard about a Nokia 808 PureView yesterday which is supposed unveiled at the Mobile World Congress (MWC) later this month with 5 other Nokia devices. This Nokia 808 PureView could be none other than the Nokia 803 but in a more refined form from what we have seen above. So what can we expect in the 808 PureView? Well according to Dsmobile who is close to Nokia and also known for his insider news, the camera of the 808 or the Nokia N8 successor will be ‘Crazy’. Now how crazy can the camera be is the question next in the line. Well if the Nokia N8 has a 12 MP camera then we can expect the successor to have at least a minimum of 16MP sensor onboard. Though it will be no surprise, if we see the Nokia 808 PureView arriving with 24 MP camera. Just coming with higher MPs is not enough because there should be other important features too like maybe a True Zoom or even optical zoom. With all this how about expecting the Nokia to capture video at 1080p. Now that would be icing on the cake for sure. So this is what we could expect with the camera of the Nokia N8 successor or 808 PureView. Coming on to other features of the device, well the 808 could come with a 4 inch screen, run on a 1GHz or even 1.4 GHz processor, had more advanced flash to support the camera, NFC capability and may run on Nokia Carla OS. Yes, we have recently seen that the work on Carla update is already on and is in the testing stages so we can indeed expect the 808 PureView to run on it and take full advantage of the OS with the camera. 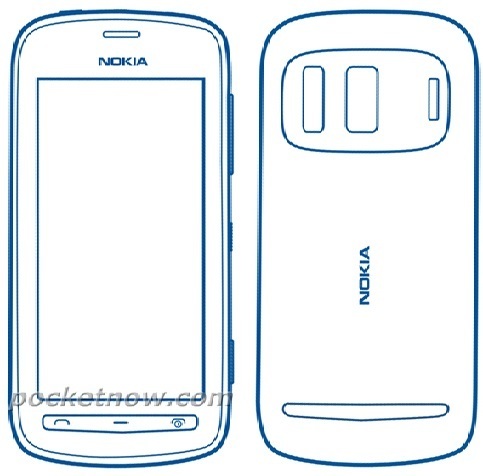 Thus this is the sum up of all the information on the Nokia N8 successor, the probable Nokia 808 PureView. But then as we all know that nothing is official until it is revealed and announced by the company and come February 27, we’ll know it all. We’ll be covering every move of Nokia at the MWC and bring in all the information for you here over MobiGyaan.